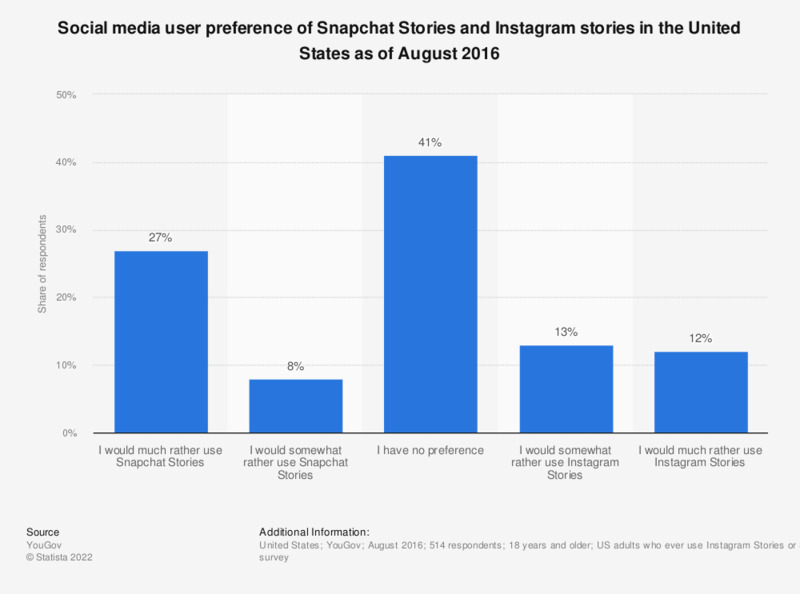 This statistic presents information on preference of Instagram and Snapchat Stories among users in the United States as of August 2016. During the survey, 27 percent of respondents stated that they would much rather use Snapchat Stories. Question: Given the choice, would you rather use Snapchat Stories or Instagram Stories, or do you have no preference?